A few years ago, a group of practicing cardiologists and vascular specialists in South Louisiana started a discussion about the many frustrating challenges they faced when it came to cardiac care, including the need to have actionable intelligence at the point of care to streamline and provide efficient provider workflow while enhancing quality of care. Without a specialized heart database, cardiologists across the nation often find themselves spending a lot of time scanning paperwork and searching through graphs and health records to try to evaluate a patient’s condition. If a patient had been treated at a different hospital or medical center, important pieces of their history — prescriptions they had taken, even the outcomes of surgeries — are sometimes inaccessible altogether. This means cardiologists have no easy way to record and compare clinical cardiology data – the kind of information that, in the most serious cases, can help determine whether a critical prescription or procedure could save someone’s life. After much deliberation, the team of heart specialists ultimately did what they do best. They figured out an effective treatment plan to alleviate those issues by developing their own EHR software and diagnostic tools to efficiently manage vital patient information for their cardiology practice. Today, the company, Objective Medical Systems (OMS), is proud to officially announce a partnership with Cardiovascular Institute of the South (CIS) an international leader in cardiovascular care and prevention. This state-of-the-art information system includes Stage 2 certified, cardiovascular-specific electronic health record (EHR) software and 15 diagnostic test suites creating a powerful, discrete data repository. The technology provides CIS cardiologists with the tools needed for high quality and efficient patient care. “Objective Medical Systems has emerged as a medical necessity for our practice with its new-age medical software solution, enabling our health care providers to continue to deliver the highest quality of care in this new era of ever-changing requirements. The application is easy to navigate and allows us to enhance our research capabilities,” said CIS founder, president, medical director, and practicing cardiologist, Dr. Craig M. Walker. Cardiologists Dr. Peter Fail and Dr. Vinod Nair reviewing EHR data from the CVIS of Objective Medical Systems. The goal of the new system is to clearly and concisely present actionable information to all care team members while improving patient outcomes, reducing workflow pain-points, and supporting best-care practices for cardiology. The product reduces information overload by filtering relevant patient data and providing timely information. Providers can see all cardiology diagnostic tests, and results can be reviewed in the OMS EHR without having to log into a different application. The OMS Cardiovascular Information System is designed with extensive input from office personnel, administrators, cardiac clinical nurses, and nurse practitioners who are highly experienced and understand the detailed workflow of a busy cardiology practice. This ensures a physician’s time is focused on patient care, not software. “Cardiology is one of the most advanced medical specialties, utilizing literally thousands of discrete data elements during an outpatient visit to make clinical decisions. This discrete data becomes the building blocks during a patient’s evaluation and management,” said Dr. Vinod Nair, a practicing CIS interventional cardiologist as well as the President and Chief Software Architect of OMS. Built-in device integration can import data directly from ECHO, holter monitors, and stress testing equipment along with numerous other diagnostic devices. Critical alerts along with clinical visit data allow physicians to collate the important information and make fully informed patient-specific recommendations. OMS offers secure clinical messaging to bridge communication of patient information within its vast health system along with other associated practices involved in patient care. “We wanted a program that was strictly designed for cardiology. A lot of other vendors, although they have cardiology content, lack the granularity that this software provides. It’s also tailored and customized for a high-volume busy cardiology practice that sees thousands of cases a month across multiple sites. This makes OMS a great fit for our organization,” Nick Benoit, Director of Health Information Technology at CIS. The OMS Cardiovascular Information System is an ONC-HIT 2014 Stage 2 certified EHR to help practices meet Meaningful Use requirements. 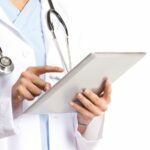 The OMS EHR is also ICD-10 compliant and is integrated with White Plume’s® Electronic Practice Acceleration Solution Suite (ePASS), providing both organizations extreme flexibility in capturing medical charges and accelerating the billing process with minimal change and disruption to their daily facility operations. “As our national health care system continues to evolve and move from a fee-for-service environment to managing populations, it is imperative that we put the right information, at the right times, in the hands of our physicians and have the analytics available to really move the quality needle. There is no doubt that OMS is going to be a vital part of our future successes,” David Konur, FACHE, CEO of CIS. Objective Medical Systems is a health information technology company that focuses on cardiology software solutions for busy cardiology departments and practices across the nation. OMS was founded on the belief that discrete data and background analysis will revolutionize the practice of medicine, improve patient care, increase physician efficiency and reduce errors. To learn more about OMS and its solutions, visit www.objectivemedicalsystems.com/cardiology-suite. Founded by Dr. Craig Walker in 1983, Cardiovascular Institute of the South (CIS) is the largest single specialty cardiology practice in Louisiana. CIS cardiologists represent nearly every specialty in heart and vascular medicine. 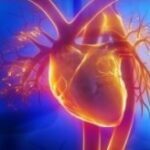 CIS is a world-leader in preventing, detecting, and treating cardiovascular disease. The institute offers a comprehensive heart and vascular program with specialized medical professionals trained in nuclear cardiology, electrophysiology, prevention services, and lipid management, as well as interventional cardiovascular procedures. CIS is also world-renowned for making significant advancements in the development of non-surgical treatments to treat peripheral arterial disease (PAD). CIS has earned international acclaim as a leader of research, development and education. Dr. Walker is chairman of New Cardiovascular Horizons, the largest medical education meeting of its type. With a team of more than 525 dedicated members, CIS provides comprehensive cardiovascular care to communities throughout Louisiana, as well as national and international patients, at its 16 clinics. CIS consistently positions itself at the forefront of technology by providing the most up-to-date technology coupled with compassionate care. This mission has guided the institute for more than 32 years of service to south Louisiana. For more information about CIS, call 1-800-425-2565 or visit www.cardio.com.